On Tuesday February 28th, 2017, the Community Service and Environmental Committee, in cooperation with the Internship Administration Office, organized a field trip to Al Orouba Language School in Maadi. 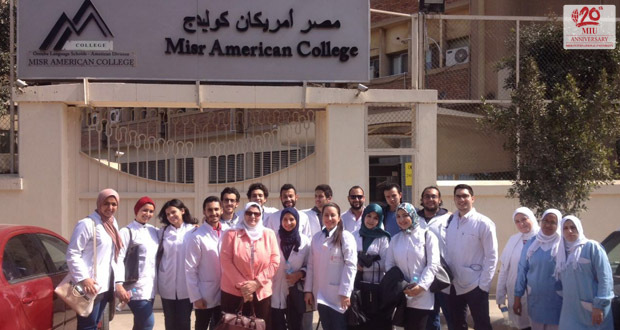 A group of staff members, interns and nurses from the Faculty of Oral & Dental Medicine participated in this event. 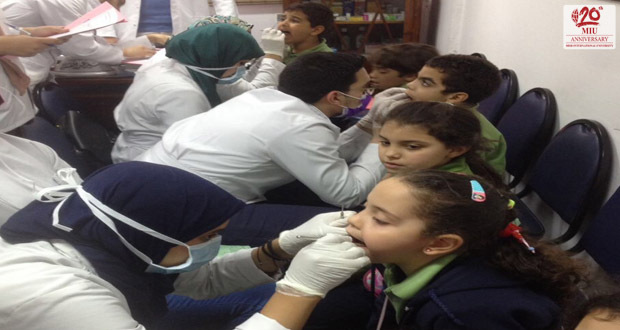 The purpose of the trip was to increase dental health knowledge and to improve oral health state for Primary students. The field trip included students’ examination that was done by interns. 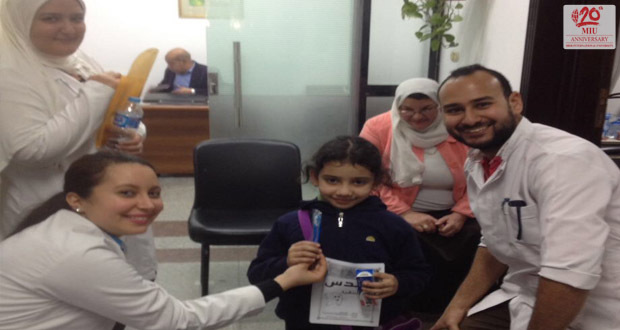 Students received cards explaining their oral health state as well as what treatment they needed to be handed to their parents (if any).